Welcome to the game-week that nearly wasn’t! 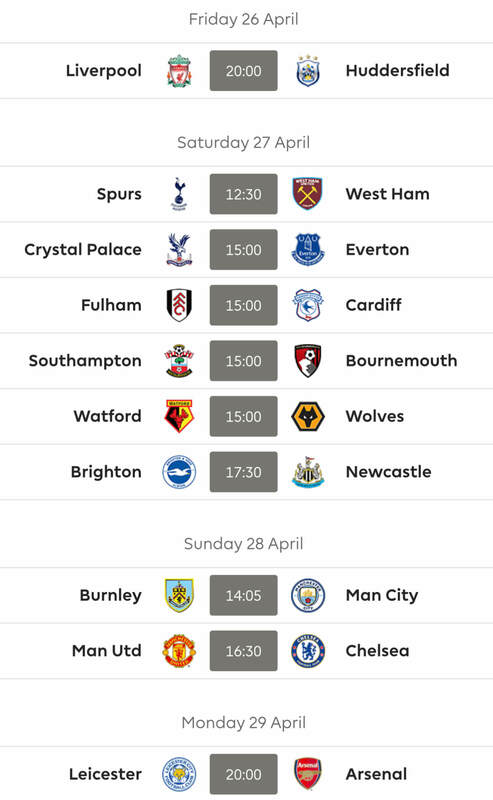 The big fear all week in the build up to GW26 was that the London tube strike would wipe out some or all of the fixtures in the capital but we managed to side-step that one nicely. 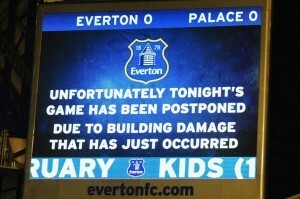 What we didn’t see coming was the mother of all storms in the North hitting home on Wednesday night and wiping out both the Everton v Crystal Palace and Man City v Sunderland games. This of course now means the prospect of even more double game-weeks to enjoy but quite where Man City are going to fit them all in now is anybody’s guess! Of course it was too late to do anything about it from a fantasy football point of view and it sent most of us running off to check the state of our substitutes bench. As it transpired the average fantasy team managed to field just eight players so it was all a bit of pot luck this week as to how your team finally lined up. Let’s take a look at those games that did manage to escape the carnage, from a fantasy football point of view. 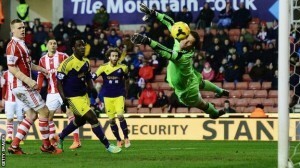 Cardiff: Keeper David Marshall had an outstanding game keeping Villa at bay with 6 crucial saves, earning FPL owners 11pts. Kevin Theophile-Catherine returned to the side and helped his team keep a clean sheet. Cardiff had their chances, but were unable to score with Wilfried Zaha taken off after 60mins after a disappointing display. Fraizer Campbell and the returning Craig Noone both hit the woodwork, while Jordan Mutch limped off after 32mins. Villa: Once again a lot better away from home as they had opportunities that fell to Andreas Weimann and Gabby Agbonlahor but they were matched by Marshall. Christian Benteke was quiet again and didn’t have many chances to score, still very inconsistent. Leandro Bacuna was very attacking and is a good 5th choice midfielder, while the return of Ron Vlaar to the defence proved crucial. Southampton: Another solid performance from the Saints. Defence was strong, with Calum Chambers in for Nathan Clyne. Adam Lallana continues to pull the strings in midfield, while Ricky Lambert and Jay Rodriguez were lively up front. Defender Jose Fonte took the plaudits as he scored the winning goal, his 3rd of the season after a goalmouth scramble. West Ham: Four clean sheets in a row, 3 wins on the spin, huge turn around for the Hammers. Great value in defence ranging from goalkeeper Adrian, to goal scorer James Collins. Also consider Guy Demel, James Tomkins and George McCartney. Mo Diame returned to the side to assist Collins’ goal and wrap up the victory for the Hammers, but this game was more about both keepers and missed chances than anything else. Before you jump on the Collins bandwagon, bear in mind this was his first league goal for two years! 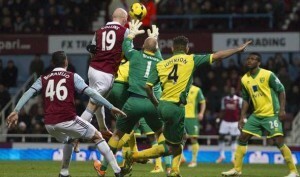 Norwich: Gary Hooper and Robert Snodgrass were guilty of missing Norwich’s best chances, shooting straight at Adrian. An overall disappointing display from the Canaries, who continue to offer decent and cheap defensive value when at home, but struggle on their travels. West Brom: Substitute Victor Anichebe rescued a point with a late header from Saido Berahino’s cross. New signing Thievy Bifouma looks very lively up front. Ben Foster was solid in goal. Chelsea: Branislav Ivanovic scored his second goal in three games and continues to get himself in good positions to both assist as well as score. Chelsea defence still very much solid, but the presence of David Luiz in place of the injured John Terry proved their downfall, not for the first time. Terry should return at the weekend, but Gary Cahill picked up a muscle injury towards the end and is likely to miss a few games. Eden Hazard was quiet in fantasy terms but still influential, while Willian looked livelier and Oscar continues to disappoint. Arsenal: Santi Cazorla and Mesut Ozil continually tried to find ways through the Utd defence, but a lot of effort was countered by little success. Cazorla had two late shots saved, while Ozil faded as the match went on. Olivier Giroud missed a hatful of chances, while Laurent Koscielny was unlucky to see a header cleared off the line. Keeper Wojciech Szczesny made some vital saves and impressed. Man Utd: Much like Arsenal, much endeavour, little end result. RvP had the best chances, but couldn’t find a way past Szczesny. Wayne Rooney huffed and puffed, but like Ozil, produced little. Juan Mata, wasted out on the left again was quiet and eventually replaced by Adnan Januzaj after 75mins. Nemanja Vidic impressed at the back, Rafael was replaced at half-time by Rio Ferdinand after the Brazilian took a blow to the head following an aerial challenge with Giroud. Assists: Bentaleb (2) Adebayor (1). Newcastle: The Toon are really on a slippery slope and after the sale of Yohan Cabaye it seems that the team are very flat. Even Pardew was looking deflated on the sidelines. 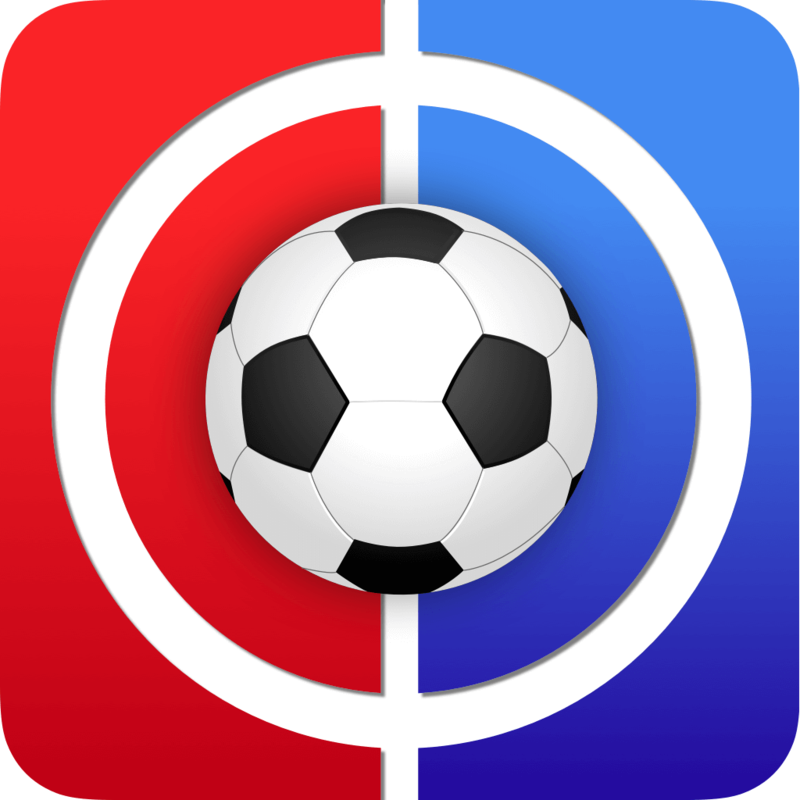 With their current form it is hard to find any value in terms of fantasy football. Perhaps Mathieu Dubuchy could be an option as it seems he has been very attacking of late. However the constant leakage of goals is a worry. Not even Hatem Ben Arfa could provide any spark to the cause when he came on as a sub. There were also a couple of chances for Papiss Cisse up front, but it seems that the return of leading scorer Loic Remy from suspension, can’t come soon enough. Spurs: Spurs have been in fantastic form of late and are on the tails of the top four. Emmanuel Adebayor was sublime and in this rejuvenated form he really should be worth a consideration, especially with the blank game-weeks coming up and their lack of involvement in the FA Cup. Take note that Christian Eriksen was rested for this game and Etienne Capoue started. Another notable absentee was captain Michael Dawson, who was replaced by the returning Younes Kaboul. On paper there appear to be some good bargains to be had with Spurs, but as ever, the starting XI is impossible to predict. Nabil Bentaleb (4.5mln) started and impressed, notching two assists, while Chadli replaced Aaron Lennon late on and curled a sumptuous shot past Tim Krul. Hugo Lloris was fantastic in goal, making a number of excellent saves but this was Adebayor’s night. Stoke: Not a great performance from the home side, but Peter Crouch and Peter Odemwingie again combined well for the goal. Aside from the goal, the Potters were reduced to long-range shots, with Marko Arnautovic and Jon Walters testing Michel Vorm. Swansea: One of their better away performance but a lack of cutting edge up front is hurting them. Nathan Dyer and Pablo Hernandez were busy in midfield and were involved in most of their creativity. Wilfried Bony had a great chance late on, but his shot was cleared off the line and the Dutchman still hasn’t scored away from home in the league. Chico Flores scored his second goal in four games from a Hernandez cross, while late substitute Jonathan De Guzman had an effort saved by Asmir Begovic. Goals: Toure (og), Richardson, Sturridge, Coutinho, Gerrard. Fulham: Down at the bottom they are really trying their hardest to get out of there. Kieran Richardson was lively and contributed with a goal and an assist. Lewis Holtby is looking the part and makes things tick in the midfield – either of these two really would be the ultimate differential! Holtby linked up well with Bent but they could not find the end product. We will have to see if these two can turn their performances into credible fantasy points. Liverpool: Kolo Toure has been in good touch with an assist and goal in 3 games (pity both have been at the wrong end of the pitch!). Daniel Sturridge maintained his awesome form – since his return from injury, he has netted in every single game, that’s seven goals in six games. Luis Suarez was again quiet from an FPL viewpoint, but the striker was again unlucky as he saw a shot cannon off the post and also forced a fantastic save from Stekelenburg. The observation is clear though – when Sturridge is fit, he is deployed as the main striker and Suarez’s points are impacted, to an extent. Another constant in the midfield is Steven Gerrard, who added to an impressive performance with a brilliant assist and a penalty to nick the game late on. Philippe Coutinho finally turned his recent good performances into points with a goal, while at the back, those clean sheets are still proving hard to come by – not that surprising when you have Kolo helping out the oppo, but the impending return of Daniel Agger and Glen Johnson should help. Trying to take an interest in the Cup matches. I guess I could work out which teams to support based on which ones I’d like to have a blank GW29, but I can’t be bothered. Instead I’ve sold Eriksen and bought Ince. Pottys “Fa Cup Sweepstakes”,is back!!!! !coz its Fa Cup Weekend Lads. So let’s gets winding your opponent up all weekend OK???? So folks this is hard work to keep on top of it all. Let’s have some Fa Cup Banter??? You in this Cup Draw???? Floydeth with Liverpool to his name,he eats and breeds the Pool and his middle name is “Bic”…..due to his physical resemblance to Razor Rudduck. Wemberley…Wemberley….. were the famous Floydeth army and he’s off to Wemberley!!! !